Located just minutes from the epicenter of downtown Charlotte, The Reserve at Waterford Lakes is a stunning community of apartments that symbolizes the city’s taste for excellence. 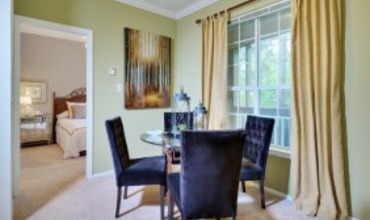 Take a look inside and see why our one and two bedroom apartments in Charlotte, NC are the premier choice for luxury living. We are excited to announce that we are a Google Fiber Community. Enjoy elegant kitchens with modern black appliances and glass stove tops complimented by soaring nine-foot ceilings and crown molding. The Reserve at Waterford Lakes pays attention to every detail to ensure you’re living a life of elegance. Our soothing garden-style tubs and scenic patios are sure to provide you the comfort and leisure you deserve. Outside your front door, take in the abundance of amenities that our community offers our residents. Whether you sunbathe by the swimming pool or invite a group of friends for movie night in the theater room, all of your day-to-day entertainment and relaxation needs will be met at The Reserve at Waterford Lakes. Visit The Reserve at Waterford Lakes for a look at the lifestyle you deserve. From early morning workout sessions to poolside parties with close friends, The Reserve at Waterford Lakes covers your leisure time needs. 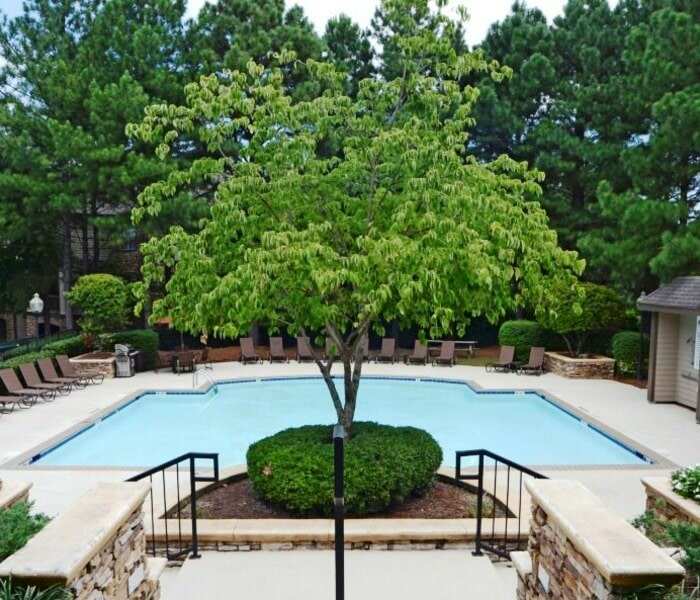 Located in the southern point of Queen City, these luxury apartments in Charlotte, NC feature over nine distinct amenities that will save you time, help you relax and integrate seamlessly into your busy lifestyle. 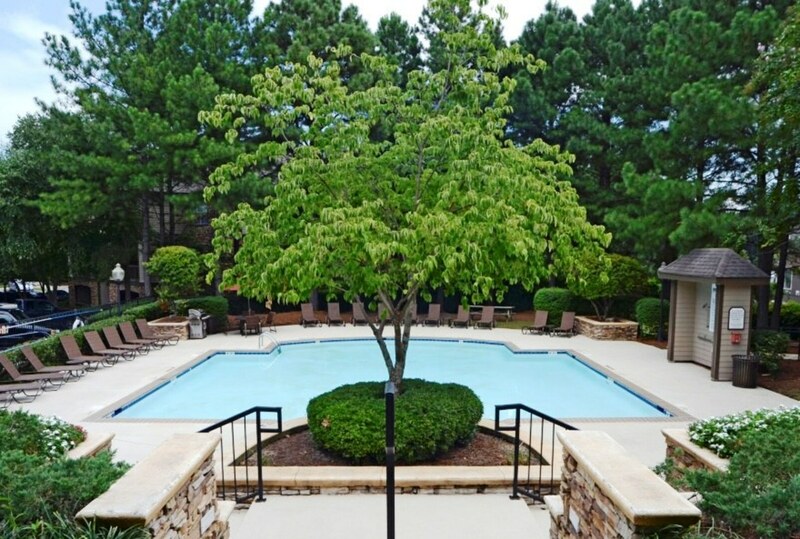 Take a look at this beautiful community and experience the pinnacle of apartment living. Clubhouse – With its signature orange color palette and towering ceilings, the clubhouse is just as much a visual treat as it is a fantastic resource for residents to relax and watch the game. Fitness Center – Stop by the twenty-four-hour fitness center and use the cardio and strength-training equipment to achieve your fitness goals. Front of Clubhouse – Wi-Fi is available for residents to check email, browse the web or finish a last-minute assignment. Garages – If you just cleaned your car and want to keep it out of the elements, store your vehicle in the personal garages. Media Room – Whether you are looking for a quiet space to unwind or an area to watch a movie, the media room is a perfect place to socialize with your neighbors and friends. Dining Room – Prepare an intimate feast to enjoy in the designated dining rooms. 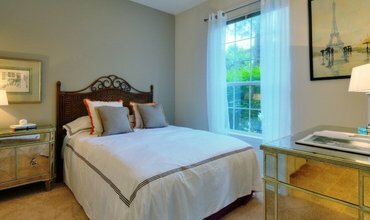 Guest Bedroom – No matter which floor plan you choose, the homes at The Reserve at Waterford Lakes are equipped with plenty of space for all your belongings. Pool – Around the swimming pool, you will find towering trees and elegant landscaping, which create a tranquil atmosphere. 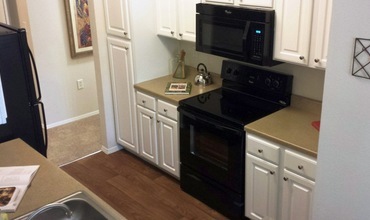 Renovated Kitchen – In the kitchens, you will find an abundance of cabinetry complemented by modern, chic appliances. Schedule your tour by reaching out to our team today and learn more about why The Reserve at Waterford Lakes is the perfect place to call home.